So where exactly did March go to? In my case I had 4 business trips in 4 weeks, definitely not my norm!! I started off the month with a quick trip to Vancouver, for 2 days, to assist with the installation of a new phone system at the Vancouver office of a Canadian adventure travel company, Trek Escapes, with whom we recently merged. 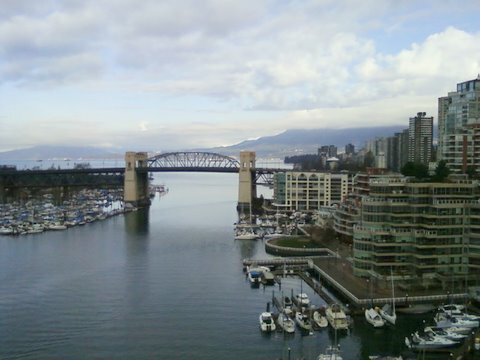 I didn’t really get much time to explore, but made sure to walk from the hotel to the office, across the Granville Street bridge, with great views across the water to Vancouver Island. 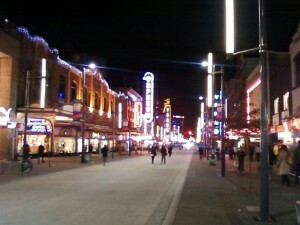 And in the evening, I checked out Granville Street again, and ate some truly delicious, middle-eastern inspired tapas at Sanafir. Hmm, I’m thinking I may have to go back and check on that new phone system soon, so I can explore Vancouver some more!! After Vancouver, it was off to Chicago for management meetings with our new Canadian colleagues, and a chance to meet more of the folks at our other sister company, iExplore. Whenever I travel on business, my natural curiosity prompts me to seek out something unique to the area. 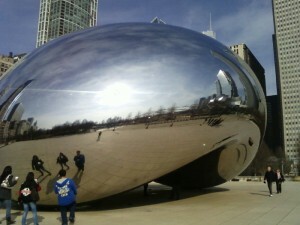 In Chicago I managed a brisk walk across to inspect the puzzling but intriguing 66 foot long Bean sculpture near the lake. 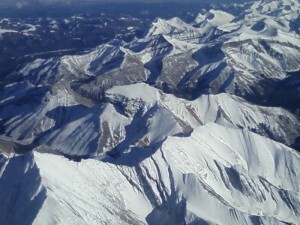 Next, a quick trip to Calgary and Edmonton allowed for incredible winter views of the Rockies – truly beautiful! And now I am about to head off to Toronto – although this time I plan to tack on a weekend in Quebec, and my girlfriend Regina is coming along for the ride! Adventure – it’s all in the eye of the beholder!